Secluded on 300 tropical acres, this stunning Mediterranean-style resort begins a new era in luxury travel following a $150 million transformation. Retreat to this gorgeous oasis where you'll find the essence of elegance and indulgence with 392 spacious guest rooms and suites, two 18-hole Raymond Floyd-redesigned championship golf courses, the exclusive award-winning Willow Stream Spa and fitness center, a tennis facility with four clay HydroCourts, three pools including a new lagoon-style pool featuring a waterslide, lazy river, private cabanas and poolside dining, a private Ocean Club right on the Atlantic, a supervised children's program and an array of recreational activities. 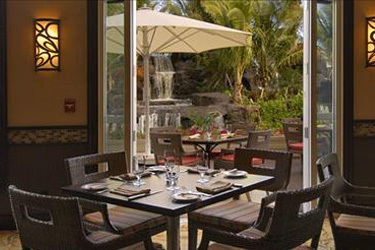 With a diverse selection of restaurants ranging from American contemporary cuisine at nationally-acclaimed Chef Michael Mina's new BOURBON STEAK restaurant to seaside casual and regional flavors at Cascata Grille, dining at the resort has won rave reviews from guests and food critics alike. Groups of all sizes enjoy the resort's 40,000 ft.conference center with flexible meeting space, a private valet entrance and wireless Internet access. Spectacular outdoor venues provide picturesque backdrops for all occasions. A private membership club featuring three distinguished categories presents guests with the ideal way to turn their stay into a permanent vacation. 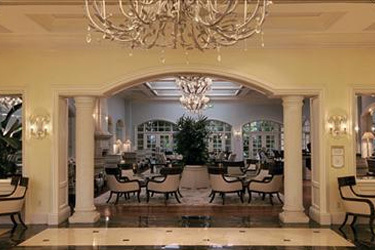 With all this and more, it's no wonder The Fairmont Turnberry Isle Resort & Club was named one of the “World's Best” in 2008 by Travel + Leisure magazine and received the Mobil Four Star Hotel & Mobil Four Star Spa Award, along with Meetings & Conventions Gold Key Award in 2007. 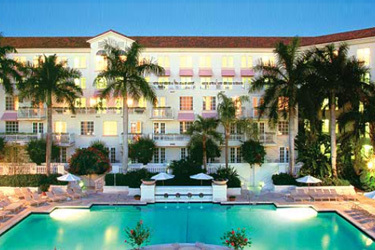 The Fairmont Turnberry Miami is conveniently located between the two major international airports and seaports of Miami and Fort Lauderdale. It's also nearby elite shopping venues, exciting nightlife and a multitude of cultural and sporting events. 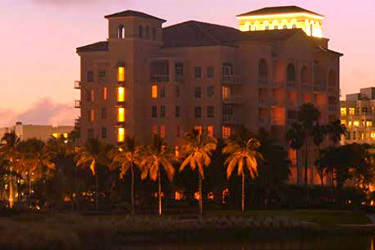 The Fairmont Turnberry Isle Resort & Club is a member of 'Leading Hotels of the World'. 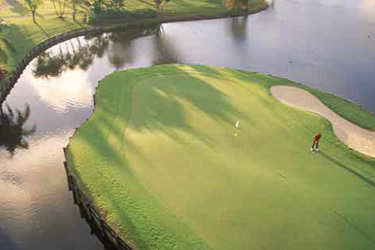 Two brand new, on-property 18-hole championship golf courses and driving range redesigned by Raymond Floyd. Complimentary shuttle service to world-class shopping at Aventura Mall. At The Fairmont Turnberry Isle Resort & Club every detail has been considered from the meticulous 300 acres that surround the resort to the subtle scent of every soap. Our multi-lingual staff awaits the pleasure of your company and looks forward to exceeding your expectations for service standards. 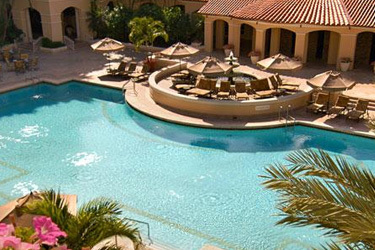 Upon your arrival to our luxury South Florida resort, guests are privately escorted to their room. 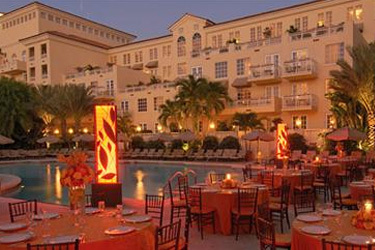 With all this and more, it's no wonder The Fairmont Turnberry Isle Resort & Club was named one of the "World's Best" in 2008 by Travel + Leisure magazine and received the Mobil Four Star Hotel & Mobil Four Star Spa Award, along with Meetings & Conventions Gold Key Award in 2007. No Triple or Quad occupancy available in Turnberry Room and Turnberry Golf View categories. 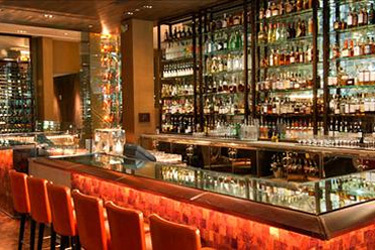 Guests must provide a credit card for incidental charges upon check-in. The front desk will also preauthorize the credit card for $200 per night, based on the length of reservation.